The Bromley Chesterfield Sofa is available in three different sizes to suit your room. Constructed with a solid frame to give years of support. You can order your new Bromley lounge in any of our wide range of colours or and Warwick Fabric. 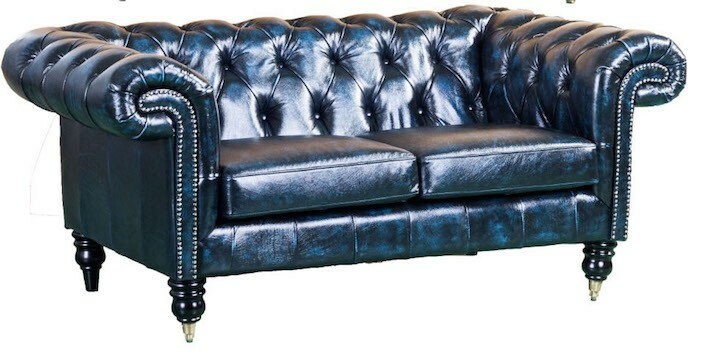 The Bromley Chesterfield Sofa is a once in alifetime addition to your home or office. It has a thinner facing at the front which gives it the modern lines that are so popular in todays home design. The Bromely is constructed using a high quality combination of plywood and New Zealand Pine. This will give it a sturdy base for years of comfort. The seating used is a zig zag metal spring and high resilience faom. The leather used is from Italy. True Italian Cow HIde leather that will fade over time to bring the base colour through and give the 'Aged' look the Chesterfield style is renowned for. The Bromley is available as a single seater, a two seater and a three seater to suit your space. 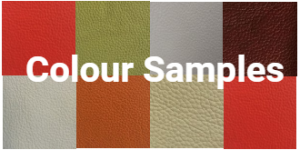 You can also choose from any of a range of 100% leather colours including solid colours such as chocolate, taupe, black and white. Depending on the colour these could be either cow hide or buffalo. If fabric is your cover of choice we have a small selection of fabrics or you can choose from any Warwick Fabric - one of Australia's premier fabric house where there are thousands of different styles and colours to add contrast to any room.